This isn’t hyperbole or exaggeration; whether it’s albums of family pictures, your company’s accounts, your PhD thesis, or anything else, chances are there are things on your computer that can never, ever be replaced. For something so valuable, it’s surprising how little care people take to preserve it. At ISCAdigital, we see a lot of data pass through our doors; a lot of the time when we ask the question ‘is it backed up?’, the answer is usually ‘no’, ‘not recently’, or ‘not all of it’. Now, a lot of the time when we’ve had customers with failing hard drives we’ve been able to recover the contents fully; even if the customer has full backups, we make every effort to keep things just as they are. But sometimes the worst happens, and the drive is dead, nothing is going to bring back your data. We hate this as much as you do, which is why you need proper backups. 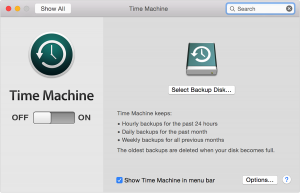 What is a proper backup? Is automatic. Whether it’s hourly, daily, or even weekly, it doesn’t rely on you. Your computer is excellent at remembering to do routine things; so why not let it do the work for you? Is robust. Your data needs to be on at least three devices, ideally, and one of them should be off-site. This could be a friend’s house, your house (if the computer is in the office), your work, or one of any number of cloud backup providers. Is reliable. It’s no good having backups if none of them work. Ideally this means testing them on a regular basis to ensure they’re what you’re expecting. But realistically, no-one wants to do that, so you’ll want to select backup systems you can trust. Now, choosing a backup solution is no simple matter, and it greatly depends on how quickly you need to get back up and running in the event of a problem, how much money you’re willing to spend to make it work, and how much redundancy you can afford. You probably have a lot of media mainly, you probably don’t have any urgency, it’d be no skin off your nose if you had to wait a week or two to get everything back, but you do want it back. You’re not going to want to pay too much. In this case, you want a cloud backup solution. There are a lot of good options here, but most people will have a good experience with Dropbox, Google drive, and Onedrive, all of which are technically syncing services, but will do what you’re hoping for at low or zero cost. You want to get a windows machine back up and running as fast as possible, you might have quite a lot of stuff, and while time isn’t money, you don’t want to faff around with installing windows and all your programs and games again, and you don’t want to wait for hundreds of gigabytes of data to transfer. This is where you want a combination: an external drive, or preferably NAS (network attached storage) to hold your backups, and Macrium Reflect Home to make comprehensive, incremental backups to the NAS or drive. You would then want your data uploaded to an online backup service; we recommend iDrive, for if the external AND your computer are destroyed, lost, or stolen. We absolutely cannot recommend Time Machine enough. It’s built into every single mac in the past decade, it provides quality, easily viewed incremental updates to any external drive or NAS. It’s one of the best things about OSX / macOS and is incredibly simple to use. Again, we suggest complimenting with online backup. Arq to Amazon S3 is a good option. 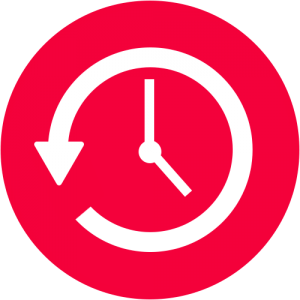 At ISCAdigital, we also offer our own backup solution as a stand-alone service or as an add-on for our support customers. These backups utilise Macrium for local backups and/or Cloudberry for cloud backups, all setup and managed by us for your peace-of-mind. Get in touch for more details on this option.